Your home is one of the most important purchase you will make. At Dryden Enterprises, we understand this importance and the importance of quality and style. 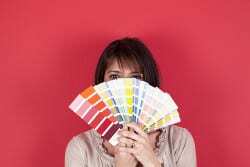 Every home owner has different tastes and these preferences should be reflected in your surroundings. To help you design the home of your dreams, we offer professional design consultations at our Hinesville, GA office location. Meet with our experienced design specialist to customize every aspect of your future home or to select a few upgrades that are important to your comfort and happiness. What can I customize in my new home? With the design services at Dryden Enterprises you are able to customize almost anything in your new home included cabinets, counter tops, flooring, paint colors, trim, floor plans, etc.. Our expert staff will guide you through every step of the design process to help you make the most appropriate decisions to fit your lifestyle and budget. How do I schedule a design consultation appointment? To schedule your design consultation, call our office at 912.369.7634 or email Christi at christi@dryden-homes.com. Our office hours are Monday thru Thursday, 8am – 12pm & 1pm – 5pm and Friday 8am – 4pm. 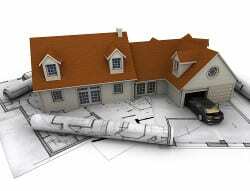 The design of your future home is a very important decision and should be made by the buyer(s) and one guest. Having too many people involved in these decisions can make it difficult for the design consultant to help the buyer(s) make these important and permanent decisions. If possible, please make arrangements for your children during this meeting. It is important to commit 100% of your focus when making design decisions about your future home. Please schedule yourself plenty of uninterrupted time during the consultation and please turn your cell phones off. We encourage you to bring photos or samples to this meeting to help the design process. Our staff will also have many samples of flooring, textures, colors, brands, etc. that will aid in your decisions. Materials available from a variety of quality name brands. How do the options I choose affect the cost of my new home? When you are designing a future home, you are able to customize as much or as little as you would like. All of our standard house plans are built for comfort, quality, and excellence and may not require any customization at all. If you decide to meet with our consultant, we offer many brands and options for every design element you are interested in. The choices you make could add to the cost of your mortgage. All prices, paperwork, and contract changes to your mortgage can be handled by our staff and can be discussed further during your meeting.